Why do some leaders get and accomplish what they want as a matter of routine while others seem to regularly experience frustration and setbacks? Why do some leaders achieve their goals and reach new heights while others barely ?hang in there? and survive? Based on his groundbreaking psychological study of the ways that successful individuals think and behave, Dr Henry Cloud presents a simple yet profound roadmap to help leaders, and those who want to become leaders, arrive at greater levels of personal growth and corporate influence than they previously thought were possible. The good news for all of us is that leadership success is not limited to vague notions of ?charisma? nor traditional advantages like graduate degrees and connections, but much more to a pattern of thinking and moving forward that learns from mistakes and stays focused on goals. 9 Things A Leader Must Do by Henry Cloud was published by Thomas Nelson in September 2006 and is our 20129th best seller. 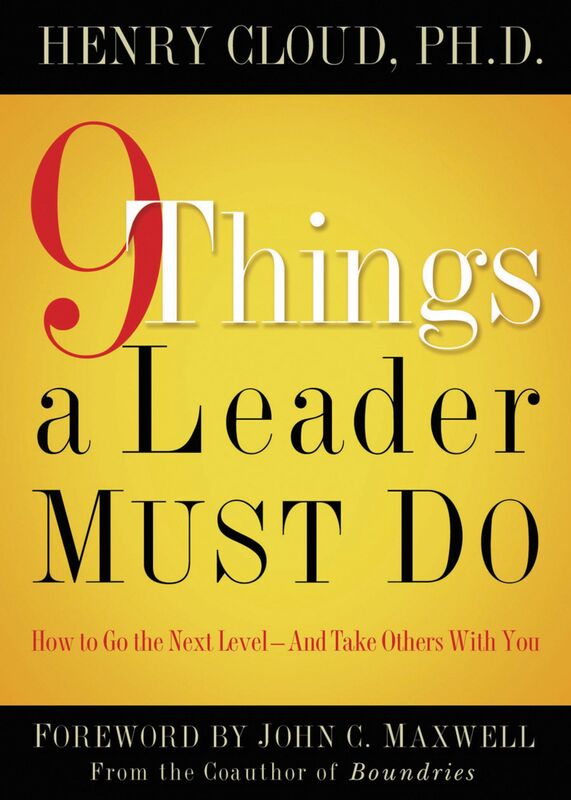 The ISBN for 9 Things A Leader Must Do is 9781591454847. Be the first to review 9 Things A Leader Must Do! Got a question? No problem! 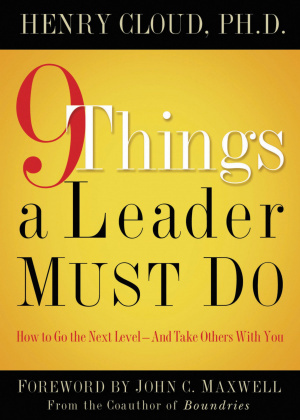 Just click here to ask us about 9 Things A Leader Must Do.